You need to complete the form titled Subpoena that is approved by the Family Court of Australia. Unless a court orders otherwise, a subpoena must not be served on a person under 18 years of age. 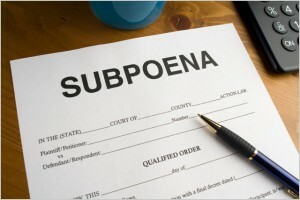 In some situations, you will need to prepare a letter to support your request for a subpoena. For example, where there are less than seven days before the court hearing date or where the request is made by a self-represented litigant. For more information about when you need to prepare a supporting letter, speak to registry staff. A party can request a subpoena to produce documents for the hearing of any application seeking interim, procedural, ancillary or other incidental orders. A subpoena for the hearing or trial of an application seeking final orders or in an appeal will not be issued unless a judge or registrar gives permission.